Ascendas-Singbridge Group is Asia’s leading sustainable urban and business space solutions provider with Assets Under Management exceeding S$20 billion. Ascendas Singbridge sought an innovative, alternative approach to traditional project management. Singapore's leading provider of urban solutions approached Collective Campus to help it transition to an agile way of work. Collective Campus delivered 2-day bootcamp for 20 participants, which provided the fundamental principles and practical application of Agile methds. Collective Campus provided Ascendas Singbridge's employees with a new approach for responding to unpredictability through incremental, iterative work cadences and empirical feedback. 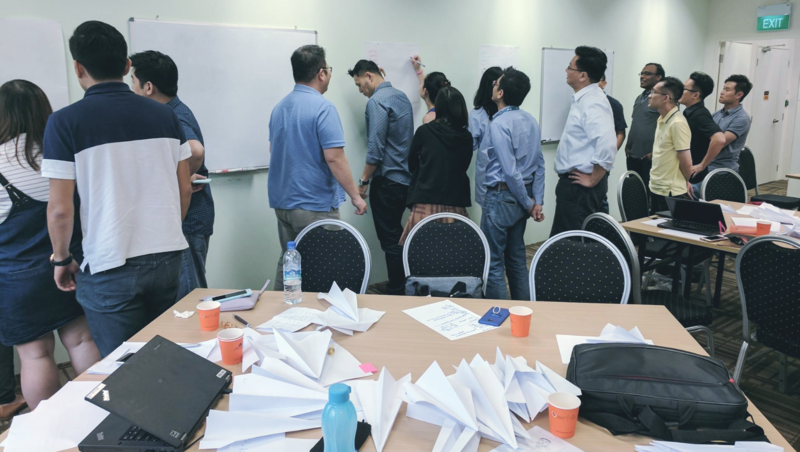 Collective Campus prepared a customised 2-day agile bootcamp for 20 participants which gave everybody an understanding of key agile concepts, why they're important and how to apply them to multi-departmental roles. Ascendas Singbridge's team left with the knowledge, understanding and tools to transition to an Agile way of work.